Depending on what you are looking to achieve from your website, you might be better suited to a site built using a premium pre-existing theme rather than a bespoke development. A well-considered theme can be greatly adapted and tailored to your companies fonts, colours and brand style to offer an affordable website solution for businesses on a smaller budget. I only work with premium themes that have been well tested across all browsers and have been built to exceptional standards with the cleanest coding. I also build my clients websites to be mobile responsive as standard. With the increase in website visitors arriving from their mobile or tablet, and with the move from Google to confirm mobile optimised websites as a major ranking factor, I believe that responsive design is no longer a ‘nice’ thing to have but is absolutely essential. If you would like to have a website based around a theme I can supply you with my list of approved themes so that you can select one with confidence. Alternatively, I can offer guidance on the theme I think would work best for you. I offer a comprehensive table of ‘add-on’ services if you want to build upon your site even further, covering ongoing SEO, copywriting, bespoke designs, infographics, videos, animation and more. The best options for you will be determined right at the very start of the project and there will never be any hidden extras. 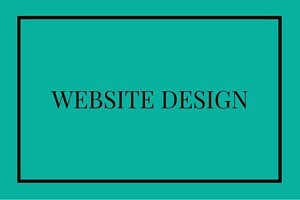 Need a more complex, or bespoke website design? You might be looking for a larger, more complex or bespoke website design. Or you might be from a large, established brand that is looking to make a greater financial investment in order to retain complete control over all design elements and to have a website that is totally unique to your business. In this instance, I will consult with you to clarify exactly what you are looking for from your newly designed site and will follow a full and detailed brief so as to deliver a bespoke website that is totally unique to you. From small brochure websites, to complex builds, e-commerce shop-fronts and all types of website design in between, I can help. Obviously it’s a bonus that I can carry out competitor SEO research to determine how to craft your SEO friendly website copy to get you ranking about the competition too!